Day out on the Solent. Home » News » Latest News » Day out on the Solent. Question – When you have the most discerning client that loves the water and luxury, what do you give them? Answer – Everything of course! 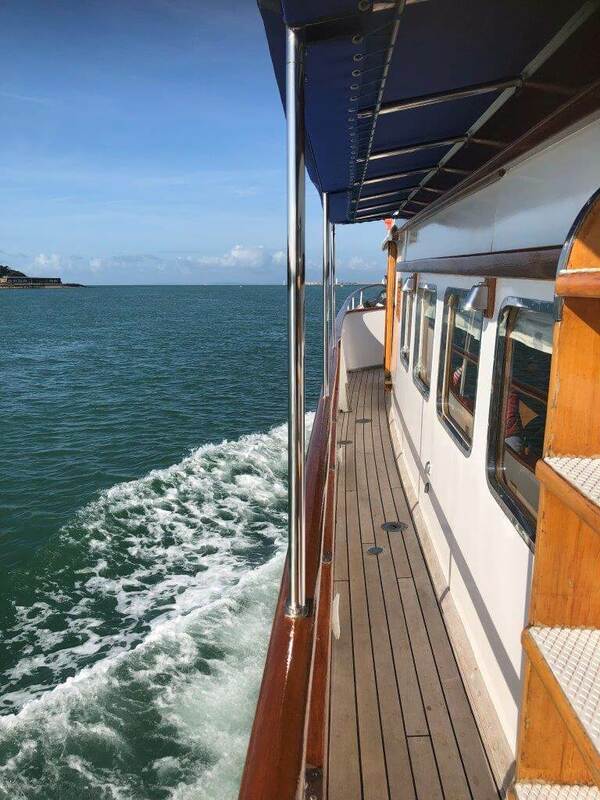 Charter A Ltd the largest provider of helicopters in the UK, partnered with high end marine based events company Solent Events to provide a private client with the most amazing day afloat on The Solent . 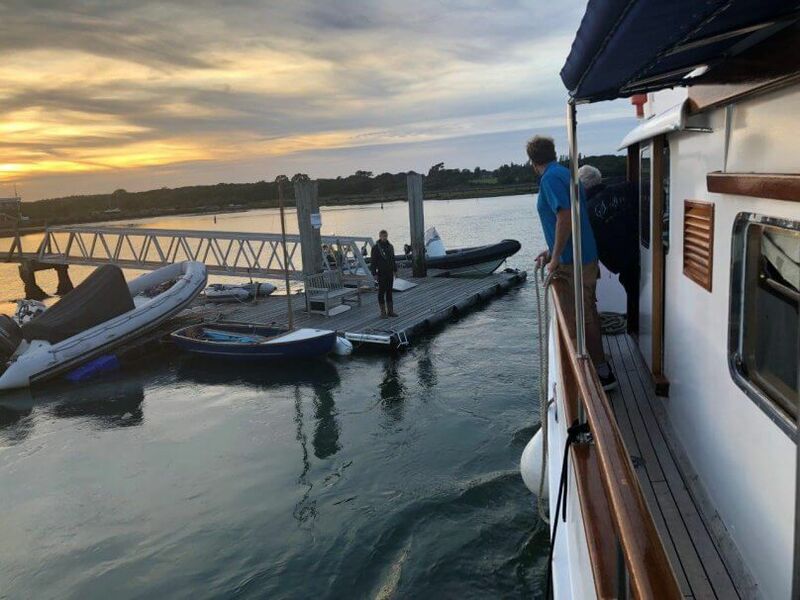 Four helicopter transfers to the pretty market town of Yarmouth on the Isle of Wight were met by powerboats to take the guests to a 75 foot classic motor yacht waiting in nearby Yarmouth Harbour. Breakfast and all catering onboard were prepared by 2 top chefs with vintage fine wines & Champagne poured by the onboard sommelier. 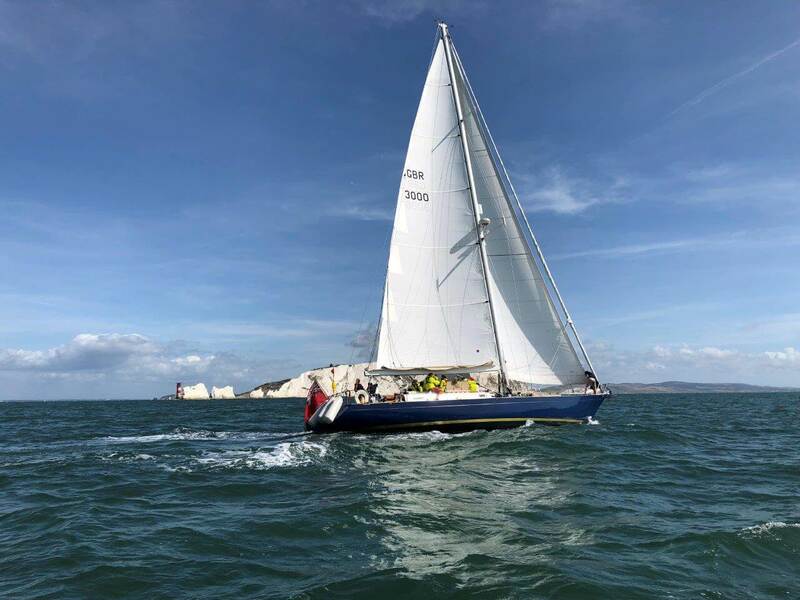 As the motoryacht steamed out of the harbour, it met a 64 foot classic sailing yacht and motored out into The Solent to the picturesque Western tip of the Isle of Wight by the Needles Lighthouse. 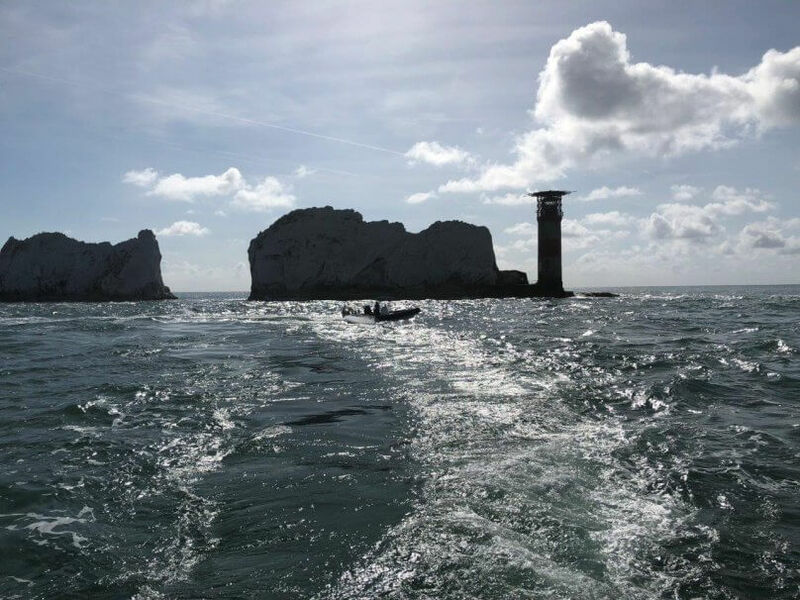 The guests were taken by Rigid inflatable Powerboats (Ribs) to the yacht for a sail around the back of the Island into Freshwater bay before heading back to the ‘Mothership’ anchored by Hurst Castle. 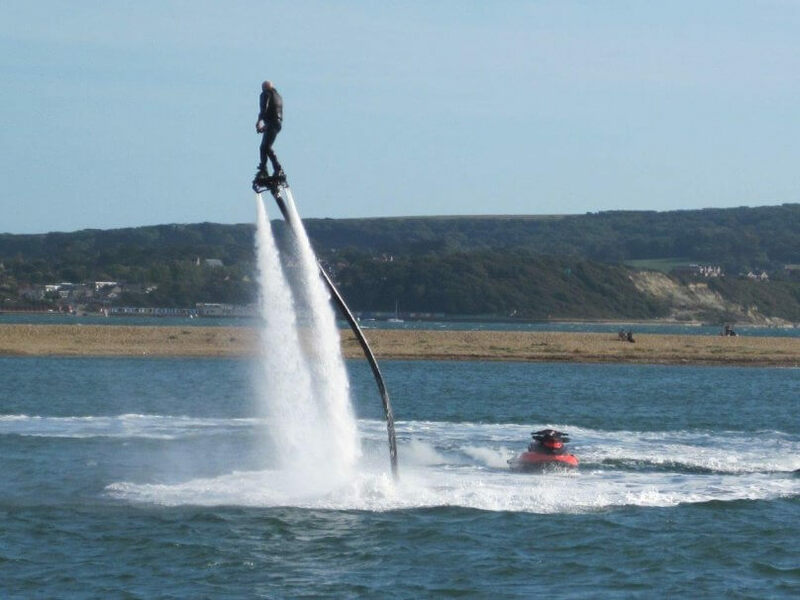 An afternoon of watersports ensued with Wakeboarding, Waterskiiing, Jetskiing and Rib blasts under the supervision of the Solent Events team and specialist water sports instructors. For the brave hearted, fly boarding was laid on to give the guests their second flight of the day! 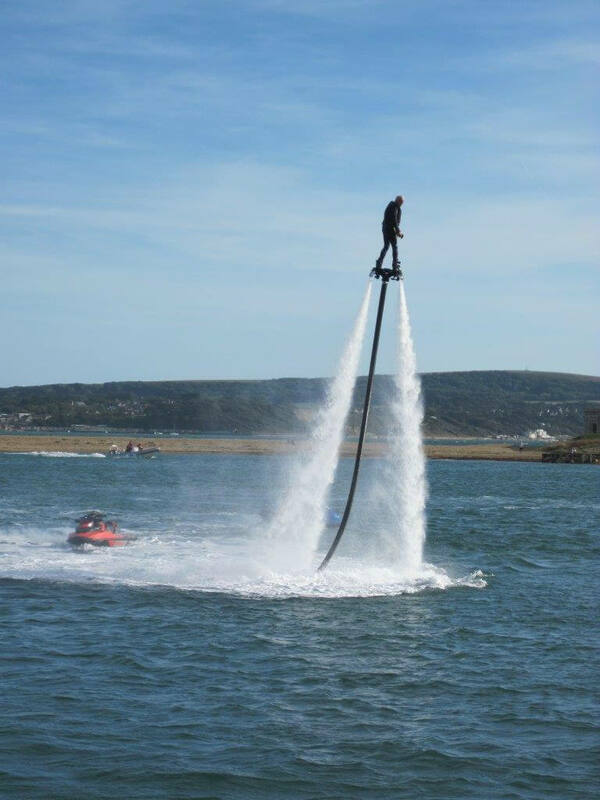 Live music on board was facilitated by Charter A ltd collecting the artist from London Battersea heliport and delivering him to Yarmouth for Rib transfer the waiting guests. 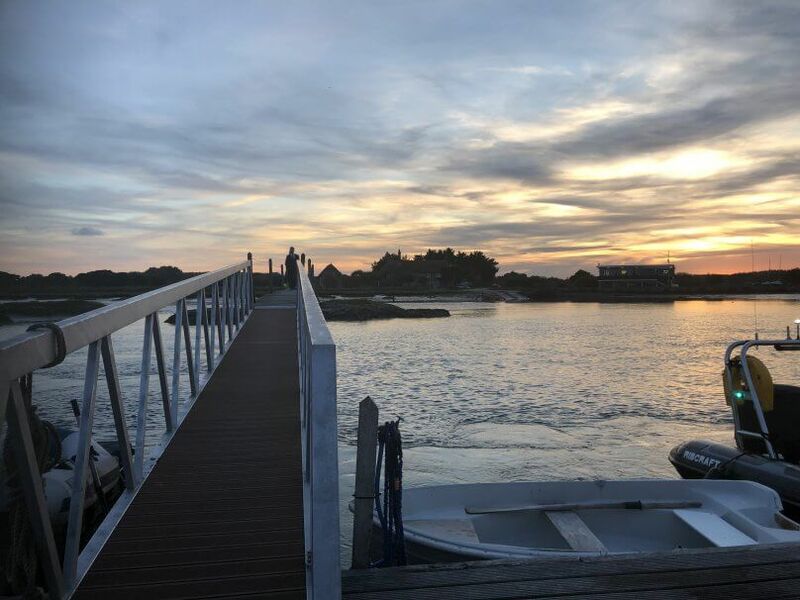 As the sun set, the day drew to a close with a 10 course dinner at an exclusive house nearby having landed the guests on the private jetty. 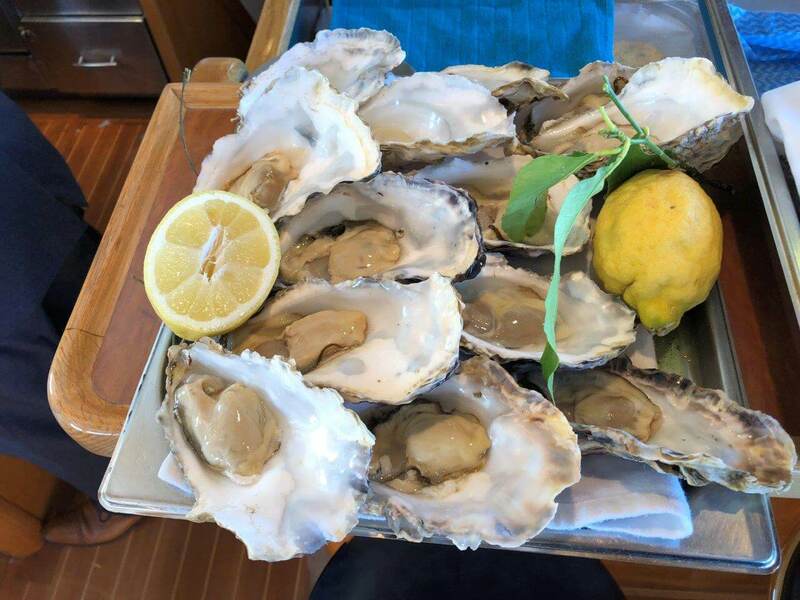 Solent Events share Charter A Ltds ethos that nothing is too much trouble and the bigger the challenge, the greater the satisfaction is delivering beyond your clients expectations!